Once the town “It Girl,” Tabby Summerwell has never felt more like a failure. And now she has a broken leg, to boot. But when her former high school sweetheart Brodie Kimball comes to her rescue, Tabby doesn’t know if fate is mocking her… or giving her a second chance. 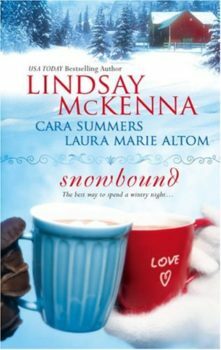 Also includes A HEALING SPIRIT by Lindsay McKenna and AUNT DELIA’S LEGACY by Cara Summers.